What is different about the ASP production system? The ASP system focuses on soil health and root systems, building soil biology and soil carbon year on year, and uses naturally derived soil conditioners to deliver complete nutrition to plants and crops. This system produces healthier and more resilient plants, considerably reducing if not eliminating the need for any chemical inputs. Produce grown under the ASP system has a more complete nutrition profile with trace elements long missing from otherwise over-farmed soils. The ASP Certified system restricts the use of chemicals, pesticides and fertilisers during production and incorporates the use of rotational and fallow farming to help ensure that chemical exposure is eliminated. This is verified by mandatory MRL (Minimum Residue Level) testing of chemical residues from all fields from our farms. How does ASP Certified compare with ‘organic’ and ‘conventional’ products? 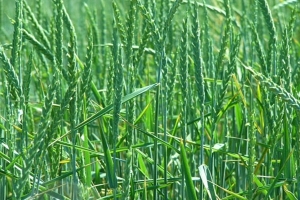 ASP Certified can be compared to organic in that the system restricts and eliminates pesticides during grain development stages, the grain is then required to undergo a verification of its pesticide residue levels. The verification of the pesticide levels is conducted by an accredited lab that uses test methods based on the Australian Standards for grains testing. 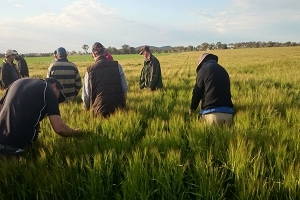 Under the ASP Grains Standard every paddock is verified to have no chemical residues prior to the grain leaving the farm. Grains grown and Certified as Australian Sustainable Products are often considered superior to organically grown produce in that, the ASP farming system actively restores soil health and fertility year on year (better yields) and produces crops which are more nutritionally complete with more trace elements as evidenced by sap testing of crops. 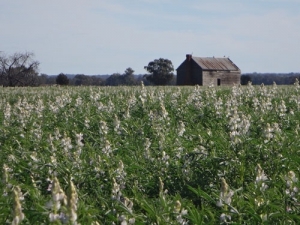 Australian Sustainable Product is superior to conventional due to the significant reduction of and reliance on fertiliser and pesticides which is the first step towards creating a truly sustainable farming system. This allows farmers to move away from conventional farming methods and experience the benefits of healthy balanced soils allowing natural management systems to be re-established. It is important to have this transition phase where farmers can move to the next level of sustainable agricultural production with confidence. The ASP system is a practically superior system to conventional and traditional organic farming. It sets the new standard for truly Sustainable Farming. The scientific approach to enhance soil health and plant fertility using naturally derived products and natural solutions delivers clean healthy food with superior nutrition, while protecting our soils and our lands for continuous production, and ensuring the sustained health of our farming community. Who audits the farms and the ASP system? An independent auditor who is trained to understand the ASP Standards is appointed to conduct the audits.